EDEM is high-performance Discrete Element Method (DEM) software for bulk material flow simulation. 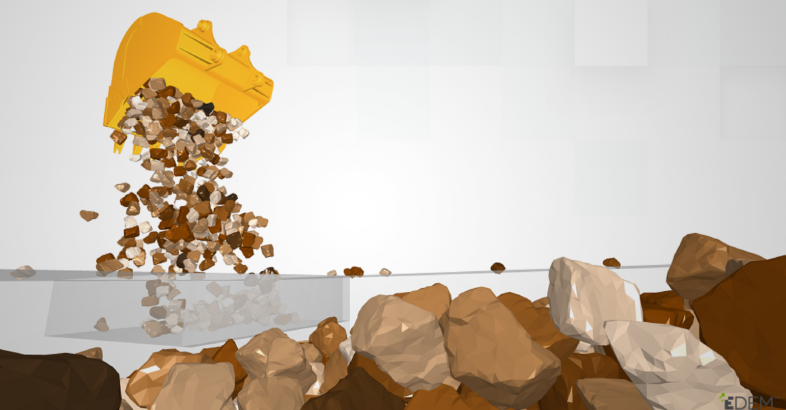 This video shows how EDEM can be used to optimize the design of an excavator bucket – providing key insight into equipment performance. Different designs can be compared for handling a range of materials such as rocks, gravels or more cohesive materials. Key information on loading time, spillage and wear can be visualized and analyzed – enabling more design optimization improvements to be made.